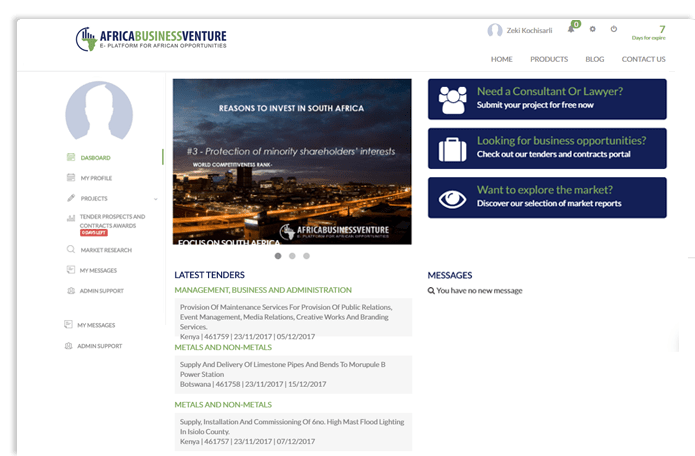 Receive information about the latest procurement and tender news in Africa through our regular updates. Find essential information to submit your bid proposal. 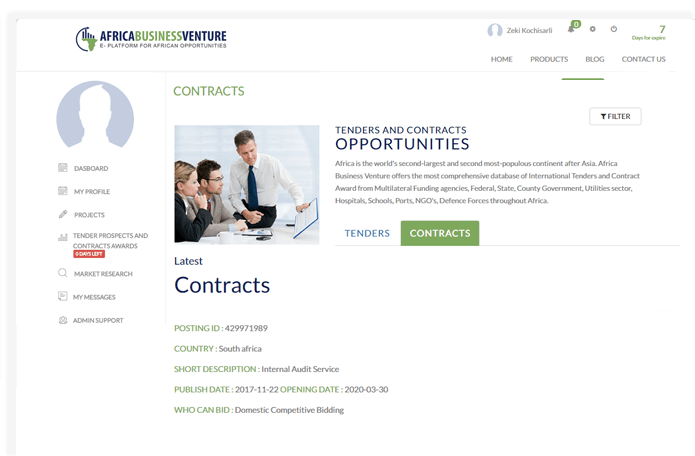 With our contract awards platform, receive notification of the latest projects awarded to companies like yours. With our premium service, find sub-contracting opportunities and the right people to contact. Find the right counsel to help you start a company and support your deals. We partner with the best independent lawyers with real expertise about doing business in Africa. Hire quality consultants for your projects in Africa! Based on your instructions, we carefully select and vet consultants with an extensive and relevant experience to support your business needs. A dedicated Client Manager will be assigned to your project. They will invite top consultants, evaluate their skills, conduct interviews and provide you with a short list of the best consultants for your project. Get the support you need to file company registration papers in any country! Track easily all the deliverable of your consultant and lawyer. Never loose sight of your budget and keep track of all your spending. Get started now. It is easy just click on the button to sign up . 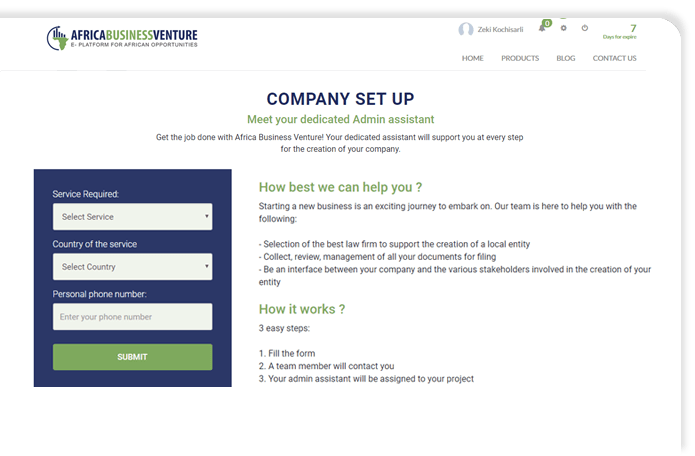 Africa Business Venture is a subscription based services portal, offering a dedicated personal account manager, legal consultation service, tender services and a personal plan to achieve success.